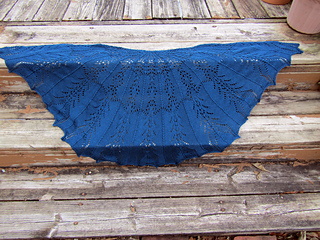 Intricate Looking Lace Doesn’t Have to be Hard. 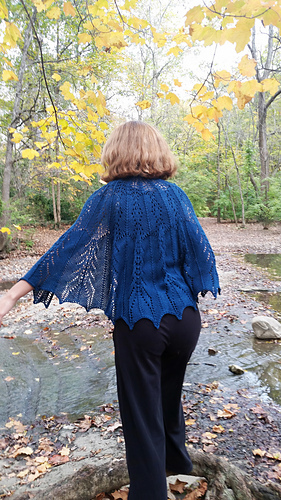 A Half Pi-shaped shawl is the ideal place for newer lace knitters to dip their toes into the water of lace knitting. 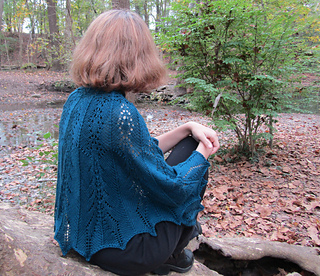 All the shaping takes place outside of the patterning in this design which utilizes just a single type of decrease and simple yarn over increases. Hike To Marion Falls mimics the play of the rocks and the water. The strong lines of just a single type of decrease give landmarks and the yarn over increases mimic the water as it flows from the garter tab beginning to the simple edge. 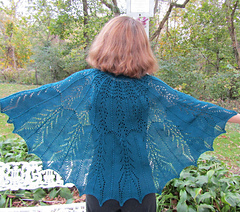 Shawl requires two skeins of the suggested yarn. Although this piece is worked back and forth flat, circular needles are needed to accommodate the stitch counts. 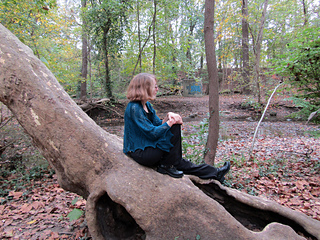 • Only one type of decrease stitch, a centered double decrease is used. • Gauge while always important is not critical to this piece, however, knitters gauge will impact yardage needed to complete the piece.